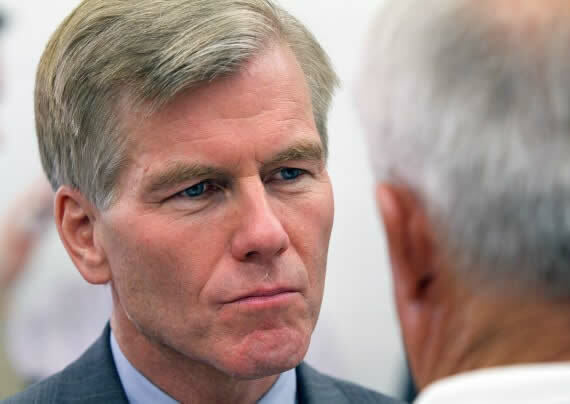 Virginia governor Robert F. McDonnell and his wife, Maureen, were charged Tuesday with illegally accepting gifts, luxury vacations and large loans from a wealthy Richmond area businessman who sought special treatment from state government. Authorities allege that for nearly two years, the McDonnells repeatedly asked executive Jonnie R. Williams Sr. for loans and gifts of money, clothes, golf fees and equipment, trips, and private plane rides. The gifts and loans totaled at least $165,000.